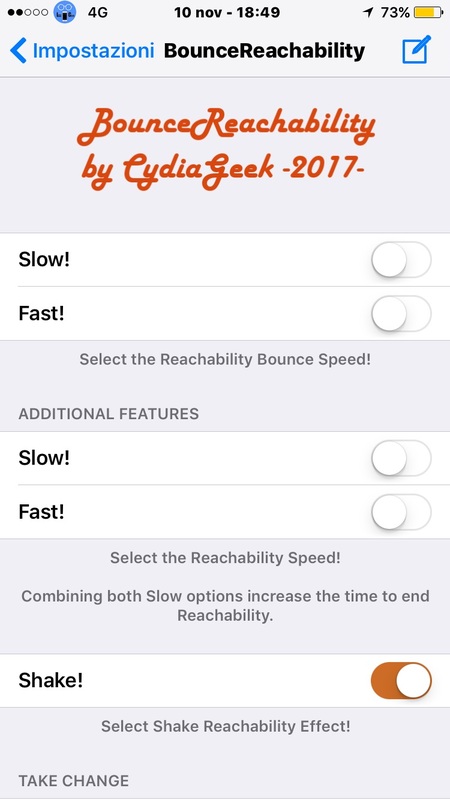 BounceReachability gives you Different Custom Bounce and Speed Effects Animations for the Reachability Compatible Devices. More Features and Improvements in the Works. The Tweak is out of Stage from my Repository with the Custom Speeding Values, Revisited Preferences and More Feature added too.